For Tutor Doctor to have a network of 500 franchise territories and more than 17,000 tutors across 16 countries serving over 270,000 families worldwide, it must mean we are doing something right. Tutor Doctor could not be the fastest-growing in-home private tutoring franchise worldwide if our franchisees were not profitable. We offer a proven and solid business model that is financially viable with a low startup investment and high profit margins. Our no brick and mortar model allows our franchisees to experience immediate cash flow right out of the gate. In fact, a new franchisee can be up and running in less than 30 days! Our mandate is to deliver a proprietary, proven system for education consultation, as well as provide the cutting edge tools and methodologies you need to build a profitable, long-term business and ensure your desired lifestyle. Additionally, as clearly demonstrated in field research, franchisees who follow Tutor Doctor's proven model consistently enjoy high, early returns and compounding recurring revenues. 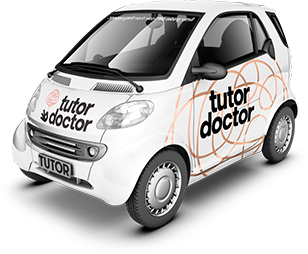 Tutor Doctor franchisees are intelligent, driven and come from a varied background. They have had multiple career and business options and they chose Tutor Doctor because of the value Tutor Doctor adds to the communities it serves. Don't take our word for it, check out what our franchisees have to say!